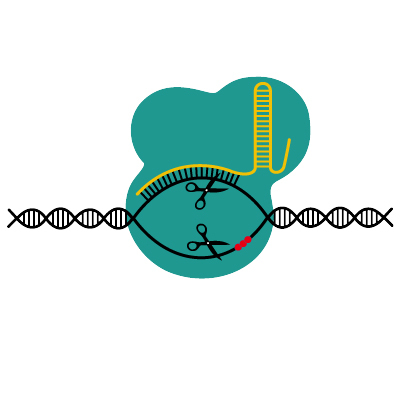 A depiction of the CRISPR/Cas9 gene editing system. Source: DataBase Center for Life Science. The discovery of CRISPR/Cas9 has revolutionized the field of genetic engineering in countless ways. From targeting genes conferring antibiotic resistance to creating disease models in animals, the technique offers scientists a fast, cheap, and accurate alternative to every other gene-editing system on the market. While its applications in human disease continue to take massive strides, including a recent human trial, CRISPR has entered the global health realm as scientists attempt to solve some of the most important crises in the field. UC Berkeley and UC San Francisco plan to invest $125 million over the next five years to create solutions to some of the world’s most pressing problems, and CRISPR co-discoverer Jennifer Doudna, who received an honorary degree from Yale in 2016, has publicly said that the technology can and will be used to promote global health in the agriculture and microbial worlds.1 In this piece, I will expand on how CRISPR is being used, and will continue to be used, in the fight against insect-borne diseases and the global food shortage. To understand how the technique is being used, it is first important to understand how CRISPR works at a fundamental level. The system, which takes the form of a double-stranded circular piece of DNA called a plasmid, contains DNA sequences for dozens of elements. The two most important elements for this discussion are a destroyer protein called Cas9 and a 20-nucleotide guide RNA sequence that can be designed by scientists to target any gene in the genome. The guide RNA sequence attaches to Cas9 and acts as a homing signal that takes the protein to the specified location and destroys the gene of interest. CRISPR/Cas9 can be used not only for deletion, but also for modification and insertion, which will be critically important for the applications discussed below. This technology is already having a profound impact on issues relating to the global food crisis in three ways: decreasing flowering time, preventing disease, and increasing yield in drought conditions. First, scientists at the Cold Spring Harbor Laboratory have been experimenting with flowering times for the domesticated tomatoes that are sold in supermarkets all across North America. They found that while domesticated tomatoes are not sensitive to the amount of daylight they get per day, their ancestors — the wild equatorial species — are particularly sensitive to the Sun’s rays.2 The researchers were able to trace this back to SP5G, an anti-florigen gene that regulates flowering periods depending on the amount of daylight present. Expression of SP5G spiked in the equatorial tomatoes when they grew in greenhouses in the US, and domestic tomatoes also contained residual amounts of SP5G expression. The researchers decided to eliminate SP5G from the tomato genome, letting the tomato plant flower regardless of daylight. Using CRISPR/Cas9, SP5G was deleted, and they found a rapid increase in flowering time, increasing yield and making the process of production much more rapid.2 Increasing the productivity of each individual crop could potentially yield vast dividends for the world’s food supply. 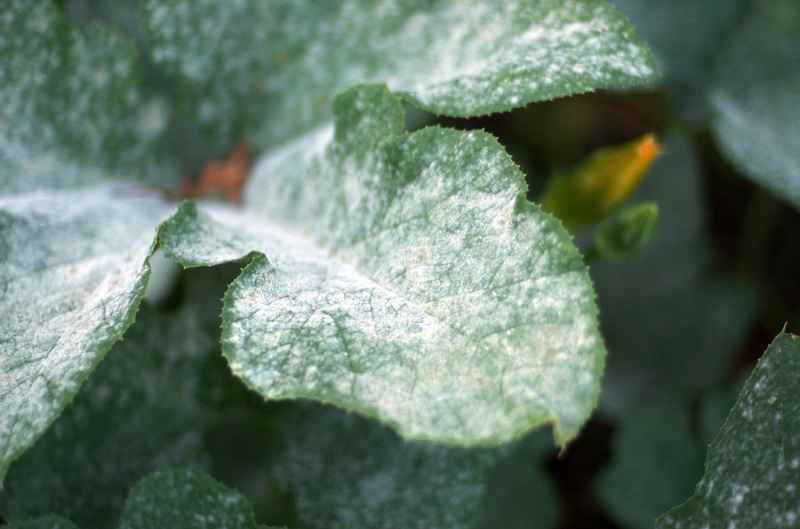 An example of powdery mildew manifesting itself as a white fungus on pumpkin leaves. Source: Wikimedia Commons. Third, drought conditions are a huge crop killer. An analysis published in Nature in 2016 showed that droughts have reduced crop yields by 10 percent over the past 50 years.5 The authors warned that drought conditions continue to get worse with climate change, and that yields will continue to deteriorate as global temperatures rise.5 Maize in particular has been severely affected by drought. The UN’s Food and Agriculture Organization declared that maize production had declined in Malawi by 27 percent due to extreme heat and low rainfall.6 To combat this, scientists continue to search for ways to encourage plants to adapt to low-water conditions. A great example of where CRISPR has aided with this discovery is in maize, which has a natural ethylene response that regulates stress in drought conditions. A study published in 2016 found that in maize, a gene named ARGOS8 was a negative regulator of ethylene responses.7 It was hypothesized that by increasing expression of ARGOS8, crop yields in drought conditions could potentially increase. CRISPR was used to insert a promoter before the ARGOS8 gene to increase expression, and modified crops were tested for their yield against unchanged crops in both drought conditions and normal conditions. In overexpressing ARGOS8, the scientists found that maize production substantially increased in the changed crops with less water, and that with normal amounts of precipitation, yield remained unchanged.7 As drought becomes an increasingly important issue, CRISPR/Cas9 modifications represent game-changers in the fight against the global food shortage. CRISPR-mediated gene drives in mosquite species represent a controversial application of the new technology (above: Anopheles albimanus). Source: Wikimedia Commons. While evolution will always play out over the long-run, it is critically important that we continue attempting to innovate in order to at least delay the rapid onset of diseases killing millions of people each year. Regardless of the ethics behind gene drive, scientists must push forward with CRISPR’s answers to the food shortage problems across the world. The World Bank estimates that the world needs to produce 50 percent more than our current output of food by 2050, while climate change cuts production by 25 percent in the same time period.14 CRISPR provides a simple, yet efficient mechanism for modifying specific genes of interest, and it remains the best available option for us to continue innovating in order to fulfill the most basic needs of our society today. Akhil Upneja is a senior in Morse College interested in the intersection of global health, health policy, and clinical medicine. Contact him at akhil.upneja@yale.edu. Sanders, R. (2017). CRISPR research institute expands into agriculture, microbiology. University of California. Retrieved from http://news.berkeley.edu/2017/01/24/crispr-research-institute-expands-into-agriculture-microbiology/. Soyk, S. et al. (2016). Variation in the flowering gene SELF PRUNING 5G promotes day-neutrality and early yield in tomato. Nature Genetics. Retrieved from http://www.nature.com/ng/journal/v49/n1/abs/ng.3733.html. Floriculture and Ornamental Nurseries: Powdery Mildew. (2009). In Agriculture and Natural Resources. San Francisco, CA: University of California. Wang, Y., Cheng, X., Shan, Q., Zhang, Y., Liu, J., Gao, C., & Qiu, J. (2014). Simultaneous editing of three homoeoalleles in hexaploid bread wheat confers heritable resistance to powdery mildew. Nature Biotechnology. Retrieved from http://www.nature.com/nbt/journal/v32/n9/full/nbt.2969.html. Lesk, C., Rowhani, P., & Ramankutty, N. (2016). Influence of extreme weather disasters on global crop production. Nature. Retrieved from http://www.nature.com/nature/journal/v529/n7584/full/nature16467.html. Tembo, F. (2015). Malawi confirms maize deficit: Agriculture production down by 27.7 percent. Nyasa Times. Retrieved from http://www.nyasatimes.com/malawi-confirms-maize-deficit-agriculture-production-down-by-27-7-percent/. Shi, J. et al. (2016). ARGOS8 variants generated by CRISPR-Cas9 improve maize grain yield under field drought stress conditions. Plant Biotechnology Journal. Retrieved from https://www.ncbi.nlm.nih.gov/pubmed/27442592. FAQs: Gene drives. (n.d.). Wyss Institute for Biologically Inspired Engineering at Harvard. Retrieved from https://wyss.harvard.edu/staticfiles/newsroom/pressreleases/Gene%20drives%20FAQ%20FINAL.pdf. Isaacs, A et al. (2011). Engineered Resistance to Plasmodium falciparum Development in Transgenic Anopheles stephensi. PLoS Pathogens. Retrieved from http://journals.plos.org/plospathogens/article?id=10.1371/journal.ppat.1002017. Fact sheet about Malaria. (2016). World Health Organization. Retrieved from http://www.who.int/mediacentre/factsheets/fs094/en/. Gantz, V. M., Jasinskiene, N., Tatarenkova, O., Fazekas, A., Macias, V. M., Bier, E., & James, A. A. (2015). Highly efficient Cas9-mediated gene drive for population modification of the malaria vector mosquito Anopheles stephensi. Proceedings of the National Academy of Sciences. Retrieved from http://www.pnas.org/content/112/49/E6736.abstract. Borell, B. (2016). When Evolution Fights Back Against Genetic Engineering. The Atlantic. Retrieved from https://www.theatlantic.com/science/archive/2016/09/gene-drives/499574/. Callaway, E. (2017). 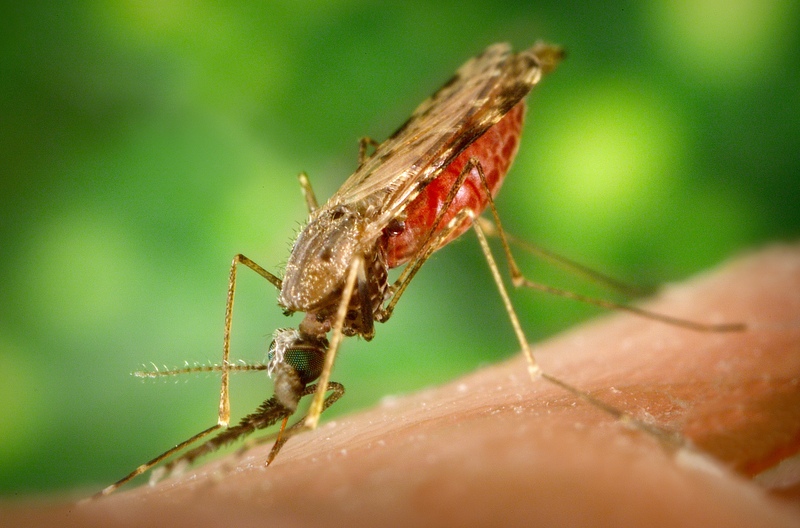 Gene drives thwarted by emergence of resistant organisms. Nature. Retrieved from http://www.nature.com/news/gene-drives-thwarted-by-emergence-of-resistant-organisms-1.21397. Food Security: Overview. (2016, March 21). The World Bank. Retrieved from http://www.worldbank.org/en/topic/foodsecurity/overview.